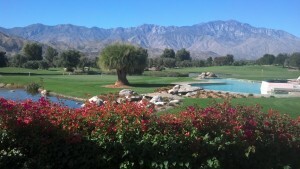 I spent last weekend with some friends in Palm Desert, a little respite from the fall rains sweeping into Seattle. But as I sat soaking in the sun by the pool, gazing up at the dramatic outline of the mountains surrounding this desert oasis, my mind drifted back to my recent trip to Ukraine. I remembered the rich chocolatey smell of the coffee shop I ducked into so I could warm up on a cold day in Odesa. I remembered an evening of plentiful food, dancing, laughter, homemade vodka, and conversation in a mish-mash of English/Ukrainian/Russian in a tiny Kyiv apartment with new friends. I remembered an animated discussion about Ukrainian politics with the occupants of a hole-in-the-wall bar at 10 a.m. on a Sunday morning, election day in Ukraine, where my election observation partner and I hoped (ha!) to find wifi to upload the results of our early morning observations. My friend’s friend, who had embraced the southern California climate by moving to San Diego and Palm Desert from Washington D.C. said to me, “You just get old enough to decide where you want to live and do it.” He’d found his place in this land of sunshine. It was a great weekend with good friends in a place most people would think of as paradise. But it made me realize that the lure of Ukraine was stronger for me than even an oasis of sunshine and palm trees. I guess we all find the places that speak to our hearts.